Summer is the festival season in many countries around the world. But nothing compares to a summer in Edinburgh. Why? Because of the fabulous weather we have here in August? Well, not exactly … Here, August is the month of the Edinburgh Festival Fringe. For more than 70 years now, Scotland’s capital has been the host of the biggest international festival in the world which is now regarded as the greatest outlet for creativity and freedom of artistic expression. 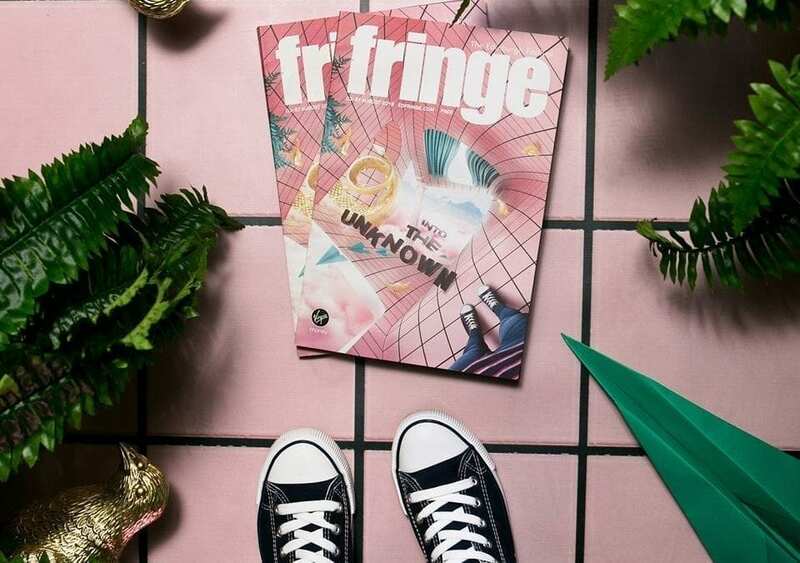 With more than 3,000 acts in just three weeks, the Edinburgh Fringe has something for everyone. Take your pick from cabaret, comedy, dance, circus, music, theatre, street art and many more. You are bound to find something to your taste! Admittedly, the Fringe can be intimidating for a first-timer. Believe me, even locals sometimes can’t wrap their head around it! The city triples in size and you won’t find a single street that is not bursting with life! So here are a few tips and tricks to make the most of your time at the EdFringe. This year, the festival will run from 03rd to 27th August. 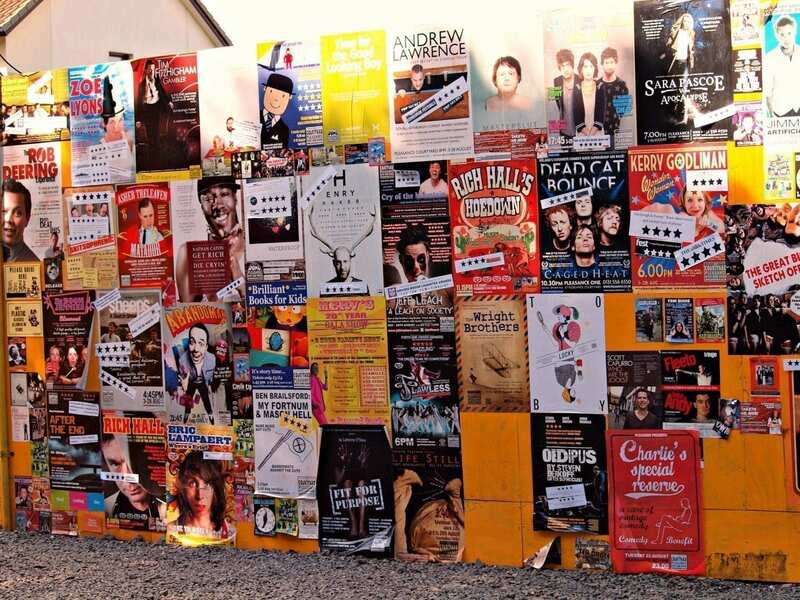 In addition to the numerous shows happening in the 300-something venues all over the city, the Fringe also has street events in their street performance spaces located in the heart of the city: High Street (on the Royal Mile) and the Mound Precinct. These vibrant spaces are the perfect opportunity to enjoy street performers, buskers, living statues, arts and craft markets, and much more. It’s also a place where you can “try before you buy”: hundreds of Fringe performers offer free previews of their shows across the Street Events stages. The perfect opportunity to choose which show you’ll be going to! 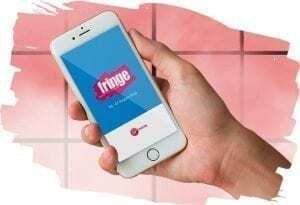 If you’re on the go, don’t forget about the official EdFringe app (available for iPhone and Android) to plan and book the shows you’re interested in. They also have Facebook, Instagram and Twitter accounts, regularly updated with news from the festival. Here is a list of a few recurring shows that happen at the Fringe, which the Inlingua team loves and recommends! One of the biggest sell-outs from previous years, this improv musical comedy show will have you bursting with laughter for a full hour. The show runs every day at 20.00 at the Assembly George Square Studio! This Irish stand-up comedian is a true Fringe legend! He plays almost every day at 21.00 at the Assembly Hall on the Mound Place. If you go to see him, better not be shy because his live shows often involve lots of audience participation! This cabaret style show mixes humour, entertainment, glitter and glamour to deliver a one-of-a-kind fabulous performance. With comedy, music and high-end fashion costumes, this show is a favourite among Fringe goers! Rest assured, the Lady Boys perform several times per day, every day of the Fringe; you will get a chance to catch their show! Using traditional Japanese instruments, The Japanese Marvellous Drummers combine music with dance and humour to bring you an extraordinary demonstration of rhythm and talent that will leave you in awe. You will find them playing almost every day at the Assembly George Square Theatre! For the most indecisive of you, the Best of the Fringe is the way to go. Every day, four different artists will perform their best stuff for you (acts that usually are not featured in their solo shows! ), so it’s a good way to try before you buy without spoiling the surprise! Bear in mind that this selection is just based on personal preferences and that it may not be for everyone! I hope you enjoy your time in Edinburgh and at the Fringe! I will leave you with this last piece of advice: take a risk! The entire spirit of the Fringe revolves around discovery and creativity without boundaries. Walk along the streets, stop at the first show you see, don’t plan every second of your stay: take a chance and you might be very surprised by what you will discover! 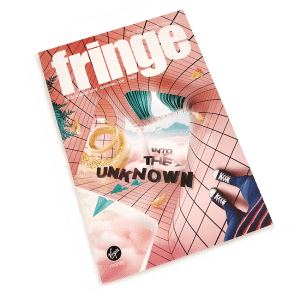 The 2018 Fringe Programme is now here!